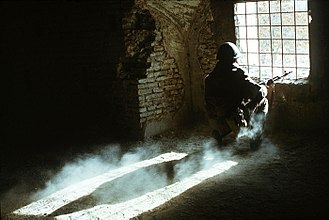 ^ Khvostov, Mikhail (1995). The Russian Civil War (1): The Red Army. Men-at-arms series. 1. Osprey Publishing. pp. 15–16. ISBN 9781855326088. Retrieved 2014-10-27. 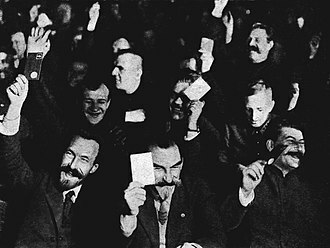 Only volunteers could join, they had to be aged between 14 and 55 and of fanatic loyalty – communists, idealistic workers and peasants, trade union members and members of the Young Comm[...]unist League (Komsomol). 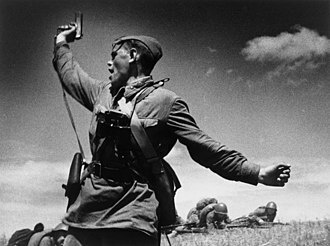 Chasti osobogo naznacheniya units fought in close co-operation with the Cheka and played an important part in the establishment of Soviet rule and the defeat of counter-revolution. They were always present at the most dangerous points on the battlefield, and were usually the last to withdraw. When retreat was the only option, many chonovtsi stayed behind in occupied areas to form clandestine networks and partisan detachments. Compare spetsnaz. ^ Volkogonov, Dmitri (1996), Shukman, Harold, ed., Trotsky: The Eternal Revolutionary, London: HarperCollins, p. 180 . ^ Compare: "Russian Civil War". Britannica Concise Encyclopedia. Chicago: Encyclopædia Britannica, Inc. 2008. p. 1655. ISBN 9781593394929. Retrieved 2018-01-02. 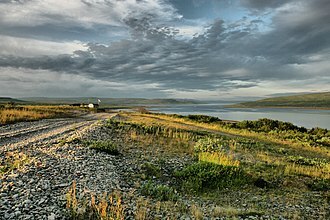 The last White stronghold in the Crimea under PYOTR WRANGEL, Denikin's successor, was defeated in November 1920 [...]. 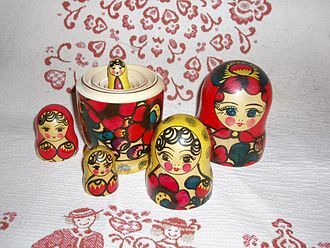 ^ "Was the Russian Military a Steamroller? From World War II to Today". War on the Rocks. 2016-07-06. Retrieved 2019-04-10. ^ "soviet casualties". encyclopedia.mil.ru. Retrieved 2019-02-21. ^ Rappaport, Helen (1999-01-01). Joseph Stalin: A Biographical Companion. ABC-CLIO. ISBN 9781576070840. 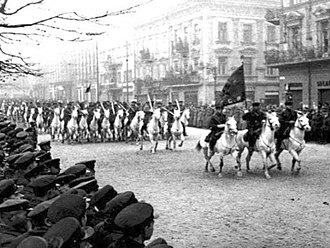 The military history of the Soviet Union began in the days following the 1917 October Revolution that brought the Bolsheviks to power. 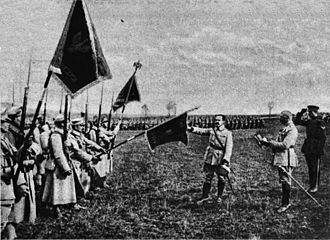 In 1918 the new government formed the Red Army, which defeated its various internal enemies in the Russian Civil War of 1917–22. 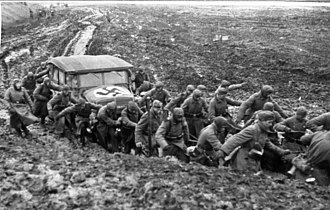 The years 1918–21 saw defeats for the Red Army in the Polish–Soviet War, in World War II the Red Army became a major military force in the defeat of Nazi Germany and conquered Manchuria. 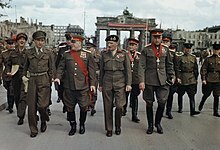 After the war, it occupied East Germany and many nations in central and eastern Europe, following the Allies victory over Germany and Japan in 1945, the Soviet Union became the sole superpower rival to the United States. 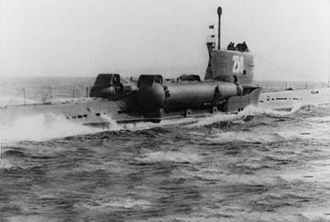 The Cold War between the two led to military buildups, the nuclear arms race, and the Space Race. By the early 1980s the Soviet armed forces had more troops, artillery guns, the Soviet Union fell in 1991, not because of military defeat but because of economic and political factors - see History of the Soviet Union. 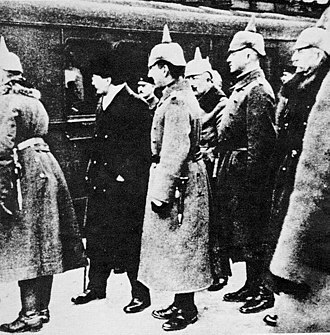 The February Revolution replaced the Tsar with the Russian Provisional Government,1917 which was overthrown by the Bolshevik Revolution of 1917. The Russian army, exhausted by its participation in World War I, was in the stages of disintegration. Even though Bolshevik influence in the ranks was strong, the corps was staffed with many who violently opposed communism. 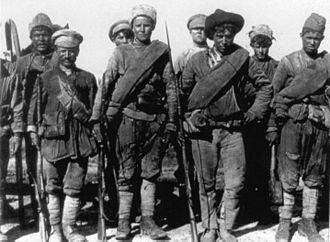 The Bolsheviks perceived the Tsarist army to be one of the foundations of the old regime. 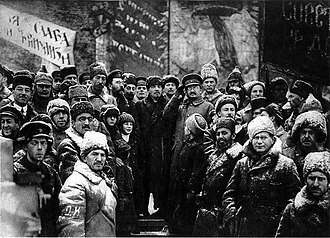 Leon Trotsky served as their first commissar for war, the early Red Army was egalitarian and therefore poorly disciplined. 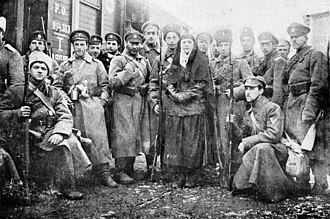 The Bolsheviks considered military ranks and saluting to be bourgeois customs and abolished them, soldiers now elected their own leaders and this arrangement was abolished, under pressure of the Russian Civil War, and ranks were reinstated. 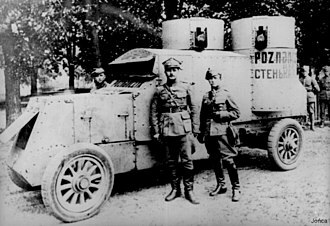 By invading Poland and initiating the Polish-Soviet War the Bolsheviks expressed their belief that they would triumph over opposing capitalist forces both at home and abroad. The overwhelming majority of officers in the Russian army were of nobility, moreover. 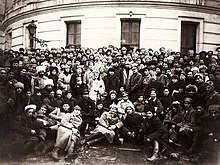 Therefore, the Workers and Peasants Army initially faced a shortage of experienced military leaders, to remedy this, the Bolsheviks recruited 50,000 former Imperial Army officers to command the Red Army. 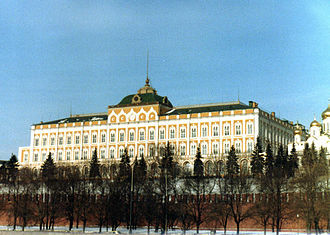 The office of Premier of the Soviet Union was synonymous with head of government of the Union of Soviet Socialist Republics. Twelve individuals became premier over the span of the office. Two of the twelve died in office of natural causes. 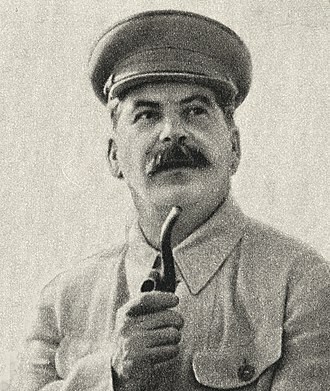 The first premier was Lenin, who was inaugurated in 1922 after the Treaty on the Creation of the USSR, ivan Silayev spent the shortest time in office at 126 days in 1991. At over fourteen years, Kosygin spent the longest time in office, the Council of Peoples Commissars was established on 8 November 1917 by the Russian Soviet Federative Socialist Republic Government. 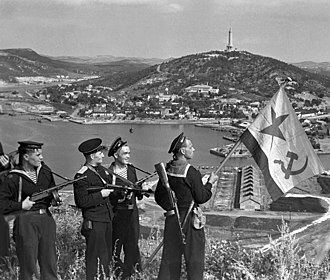 The Council of Peoples Commissars published decrees and decisions that were binding throughout the Soviet Union, in 1946, the Council of Peoples Commissars was transformed into the Council of Ministers at both all-Union and Union Republic level. 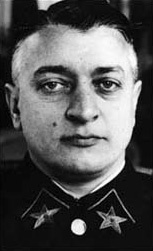 However Kosygins position was weakened when he proposed a reform in 1965. 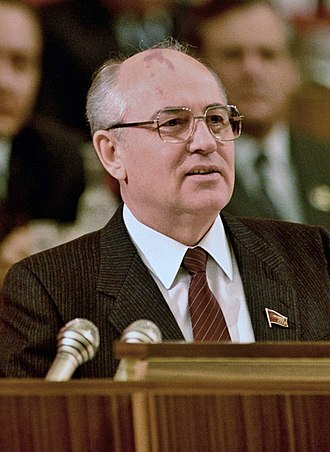 Under the 1977 Soviet Constitution, the Chairman of the Council of Ministers was the head of government of the USSR. The German offensive in Livonia and Estonia. 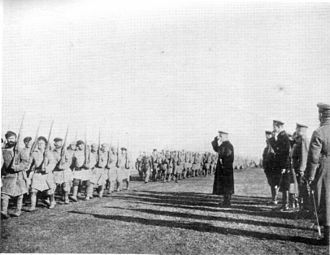 German troops in Kiev, March 1918. Japanese soldiers pose with captured Soviet equipment during the Battle of Khalkhin Gol. Ministers of the USSR during the Stalin era (1946-1953).